Ea Jensen has been in the early childhood education field for over 20 years. 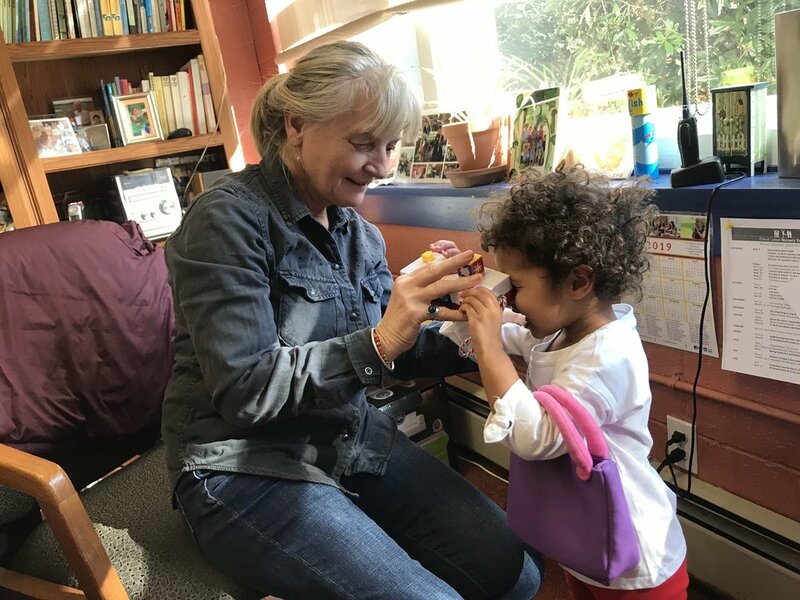 Much of her experience comes from her birth country, Denmark, where her interest in early childhood education first took shape. Ea has been the director of Ethical Culture Society Nursery School for 8 years. She has the professional experience and the educational background to understand and enhance the development of young children. She is dedicated to creating a safe environment, tailored to the educational and emotional needs of children. The teaching staff at Ethical Culture Nursery pre-school has been trained to facilitate the developmental needs of each child. All of our teachers collaborate to foster a warm and creative learning environment. Ongoing early childhood development and education workshops enable the teachers to stay current. What luck to have found this gem of a school 8 years ago! My children have laughed, played, and learned so much over their years at Ethical Culture Nursery School, Westchester. I cannot say enough about the caring and knowledgeable teachers and staff, and the forward thinking Director, Ea. The park-like setting just completes the picture. Real gardens for planting, a small hill for sledding, playgrounds for different age groups, grass and trees galore! We will be attending events long after our youngest graduates and will look back on these years with great joy! My son first began attending ECNS when he was 20 months old in their “Beginnings” class. I originally chose this school because of its warm, nurturing atmosphere but what we got what was so much more. It’s truly a community of caring teachers, parents, and kids. Their philosophy of learning through play really appealed to me since I feel that is how my son learns best. I also loved the fact that I could join my son for their “Beginnings” class (Mommy & Me style class), then ease him into the traditional “drop off” style program via their “summer camp” (1.5 hour drop off for those entering the 2’s class in the fall). By the fall he was fully prepared, and comfortable, with the school as well as his teachers which made for a seamless and easy transition to his 2’s class. I highly recommend this school to anyone looking for a fabulous start for their little ones in a school setting! A terrific, caring, loving environment with an amazing group of teachers who are kind and gentle and allow your child to grow. It’s a special place.